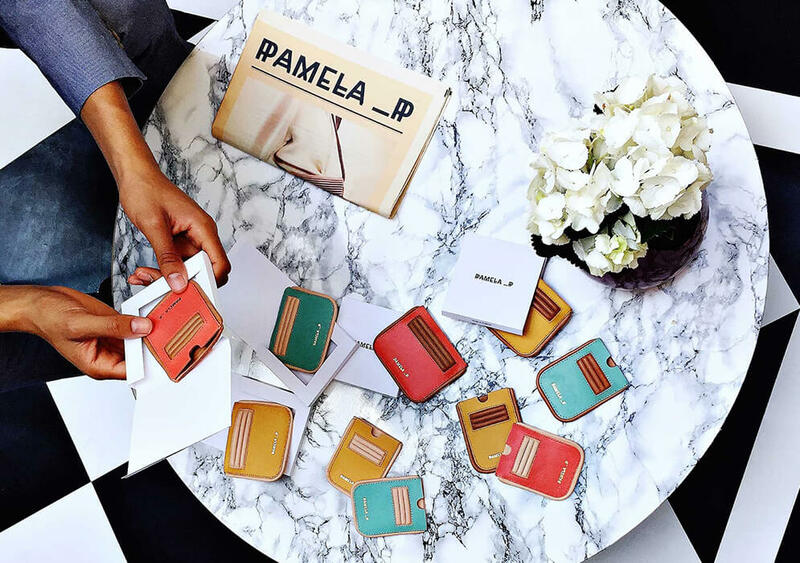 I’m following and documenting a journey of Moni from Pamela-P, who is at the start of her business, and brand development, that designs beautiful, luxury handbags. She has been mentored by Dessy from Utelier, who has many years of experience in the fashion and manufacturing industry. If you missed the session 2. of this business mentoring series, click here. There is so much gold in there. Approach potential factories to start the testing phase. Stick to your filter (as described in session 2.). Try smaller factories first which offer small runs and flexibility. Get quotes and create a development budget which includes all costs including one-offs, packaging and charges. Finalise a range plan – how does the collection look like? How many products, colours, designs? Footer: include Ts&Cs which help the SEO. Images need to capture the brand’s identity – for example showcase images of the studio, behind the scenes. Include a contact form, not just contact details. Include an option to subscribe to newsletters on the footer. Don’t forget social media icons on the top and/or bottom of the page. Think about offering giveaways and competitions to attract traffic and interest. The start is very tough, especially in the fashion industry. To support the business consider taking on consultancy or other work that will fit your lifestyle to keep your head above water. Think about the budget. How much will it all cost you to get started? In a competitive market it is important to differentiate yourself from the rest. You can do this by offering a unique service alongside your products. Brainstorm on what could be the possibilities here. I think the biggest message here is to do a completely detailed analysis of all costs and processes. You can perhaps create a spreadsheet with all stages and costs attached. These mentoring sessions take place once a month so I will be reporting back on session 4. next month. Stay tuned.